Eye injuries can happen at home, at work or when playing sports. Most of these injuries are preventable, but others, such as irritation from dust or dirt in the environment, may be unexpected. Any eye injury carries the risk for permanent damage and should be examined as soon as possible. Your eye doctor will likely advise you to make an appointment or, if the injury is serious, visit an urgent care center for immediate attention. 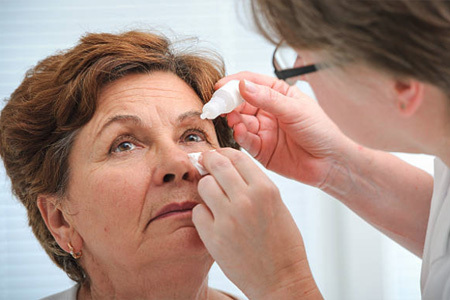 Action must be taken immediately following an eye injury to prevent complications. Avoid touching, rubbing or pressing on the affected eye. Flush out chemicals with clean water, and don’t apply any kind of cream or ointment. Instead, cover the injured eye with a sterile bandage until you can see a doctor. If you have a bruised eye that is swelling, apply an ice pack for 15 minutes at a time three to four times throughout the day. Keep your head elevated to minimize further swelling. Symptoms that don’t abate within 24 hours should be evaluated by a doctor. You can prevent eye injuries by wearing protective goggles or glasses when working with dangerous materials, being careful in the kitchen, using caution while cleaning and following proper safety procedures on the job.